Aging and the accumulated effects of involuntary muscle actions in your face contribute to the formation of creases, wrinkles and lines that can make you look tired, angry or older than you really are. BOTOX® Cosmetic is the most popular treatment for visibly reducing lines and wrinkles of the face and neck, leaving you with a refreshed, natural-looking appearance. Board-certified South Carolina plastic surgeon Dr. Ted Vaughn has a nuanced understanding of facial anatomy and knows how the proper administration of BOTOX® Cosmetic will affect you individually; he personally performs all injectable treatments to ensure optimal results. For more information, please call 864-223-0505 to schedule an appointment at our Greenville office. Although BOTOX® Cosmetic is safe for most patients, it is not suitable for everyone. A consultation with Greenwood plastic surgeon Dr. Vaughn or one of our nurses will determine if BOTOX® Cosmetic is the best option for you based on your individual condition, features, skin type and overall health. BOTOX® Cosmetic is generally effective at reducing visible facial wrinkles and lines in both female and male patients between the ages of 18 and 75. The treatment is currently not approved for those under 18, and pregnant women should avoid its use. An acronym for botulinum toxin type A, BOTOX® Cosmetic is a neurotoxin produced by the clostridium botulinum bacteria. It suppresses the muscle contractions that cause wrinkles and lines by temporarily immobilizing the nerve fibers responsible for muscle activity. 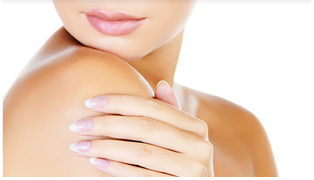 Using a tiny needle, Dr. Vaughn injects BOTOX® Cosmetic into the muscle below the affected area. The procedure is brief—usually about 10 minutes—and involves no surgery and no recovery time. The treatment itself is relatively painless, although some patients experience minor, temporary discomfort at the injection site. The results of BOTOX® Cosmetic appear almost as quickly. Most patients see the desired outcome within three to 10 days. On average, the effects last between three and six months before full muscle action is regained. Repeat treatments are required to maintain the results. For the answers to frequently asked questions about BOTOX® Cosmetic, please see our FAQ page. If you would like to learn more about the benefits of BOTOX® Cosmetic and whether it is right for you, please contact Piedmont Plastic Surgery online or call 864-223-0505 to schedule your one-on-one consultation with board-certified South Carolina plastic surgeon Dr. Ted Vaughn. We proudly serve patients in Greenwood, Greenville, Anderson, Columbia, and Laurens, SC, and Augusta, GA.